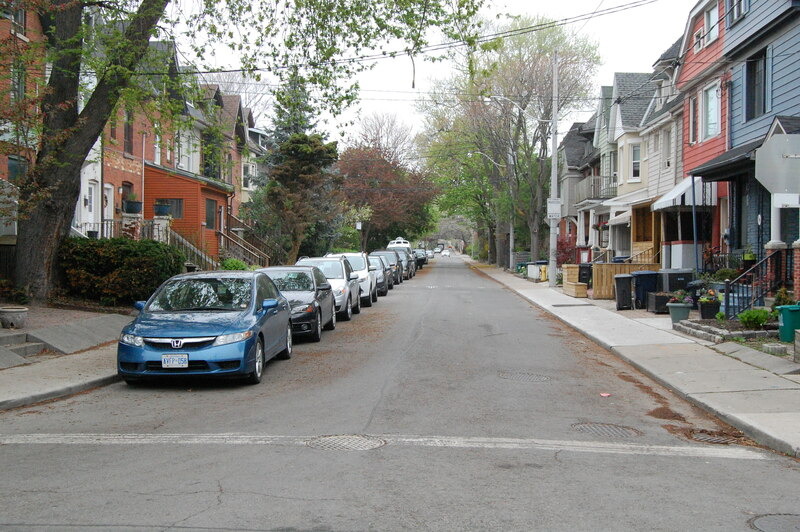 It is true that many influential politicians and administrators in Toronto – one cannot speak of planners having much importance before the mid-1950s – were concerned about the condition of the city’s older districts in the years before and after the Second World War. What to do about it, however, they did not know because they were as parsimonious as they were concerned. But the city also had social reformers striving to improve housing conditions for the poor, and these two concerns, when joined, gained enough strength to spawn what became known as “urban renewal”, a program that, with generous federal government funding, became a major force in postwar urban planning and administration. This is well established, and not really open to question. What research has opened my eyes to is how modest and circumspect Toronto’s urban renewal program was. One overlooked aspect that shows this is its evolution over time. Renewal advocates were over-zealous at first, but they soon recognized the damage their early projects did to the complex fabric of low-income urban life. As Albert Rose, one of the leading proponents of Regent Park, put it in 1964 “we had not merely cleared a slum; we had destroyed a neighbourhood”. With this more cautious mindset Toronto planners devised, in 1964, a new “improvement programme” that proposed not extensive clearances but renewal of numerous small “pockets” of deteriorated housing. It called for some demolition, but very little. The objective was to retain as much housing, and as much social and economic fabric, as practicable. The program petered out after just a few years so little was accomplished. 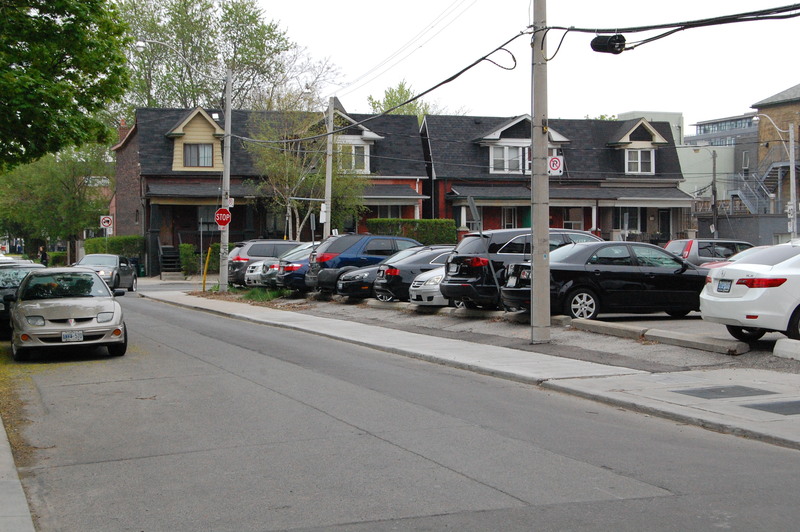 The city did identify the top three priority “pockets” and in 1965 the planners devised renewal plans for them, but only one, “Don Mount” in South Riverdale, was carried out. The other two were derailed, first by resistance from local residents and then by the federal government’s cessation of funding. This little-known program came to mind last winter when I stopped at the new Dark Horse Espresso Bar at Queen and Carroll Street, the southern edge of the one completed pocket renewal project. The area was re-renewed several years ago – that’s another story – but it still offers striking visual evidence of the old program. For those who know and care about urban landscapes the site deserves attention. 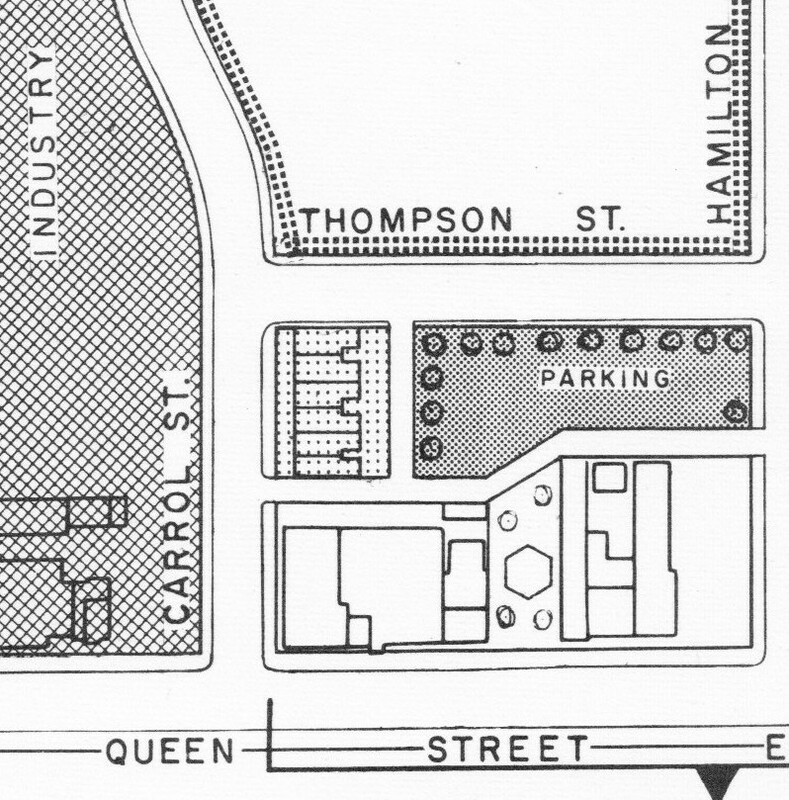 The pocket itself was a fairly large square bounded by Queen, Broadview, Dundas and the Don River. 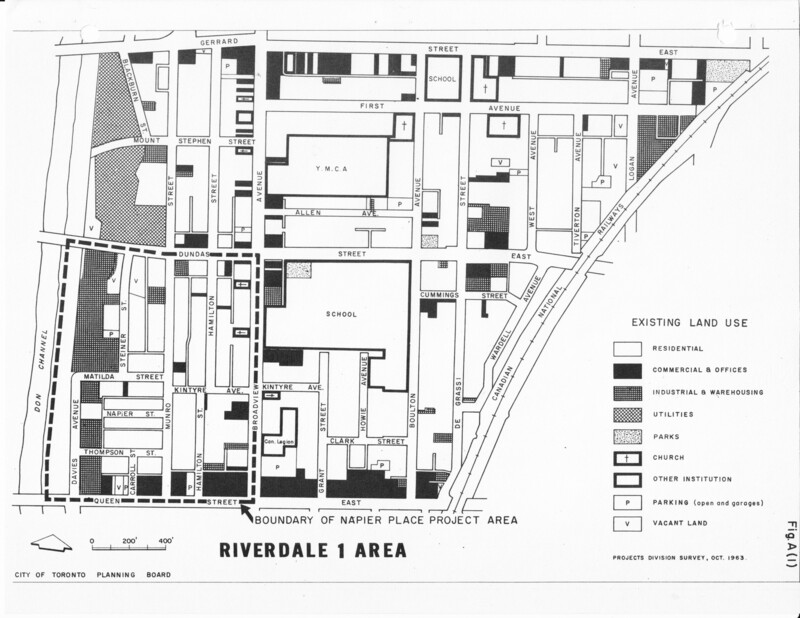 Initially labelled “Napier Place”, it formed maybe one-fifth of a larger renewal area that the planners, before devising their “pocket” scheme in 1964, had called “Riverdale 1” (Fig 1). Fig 1. The Napier Place Project Area in South Riverdale, denoted by broken line in lower left, late 1963 (with apologies for the poor resolution in this and the following scanned images). After thoroughly assessing the “project area” they determined that much of the housing was in such poor condition (Fig 2, black shading) that about half the pocket would need to be cleared. Such drastic action is not surprising when one remembers that this “pocket” was the part of the “area” deemed in greatest need of renewal. (No renewal was proposed outside this square.) In any case the other half, the lighter stippled shading in Fig 2, was to be retained, a feature more clearly visible in the renewal plan (Fig 3). Fig 2. Inventory of housing conditions in the southern two-thirds of the pocket, 1965, showing areas proposed for clearance and areas proposed for rehabilitation. Fig 3. 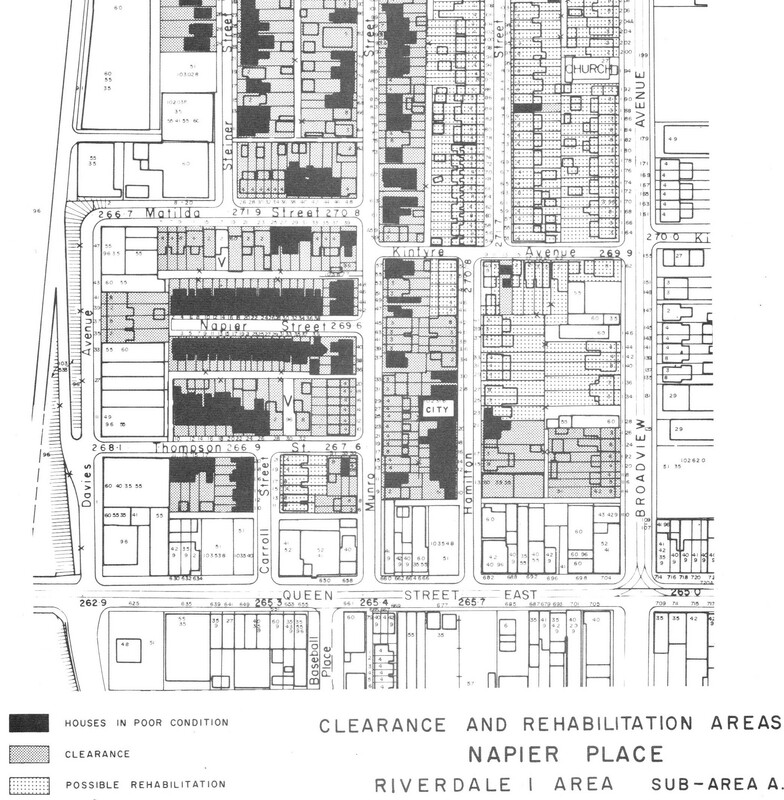 Napier Place renewal plan, 1965, with new public housing for the cleared-out central portion but retention/rehabilitation of the existing housing in the eastern portion. Indeed it was retained (see photo gallery below) – Photo 1, looking north on Hamilton from Thompson shows the old housing on the right (and new housing in the proposed open space on the left) and Photo 2, looking north along the next block of Hamilton, which has jogged slightly east, shows original housing on both sides of the street. Two other intriguing details of the scheme remain in the current landscape. One is its retention of local industry. 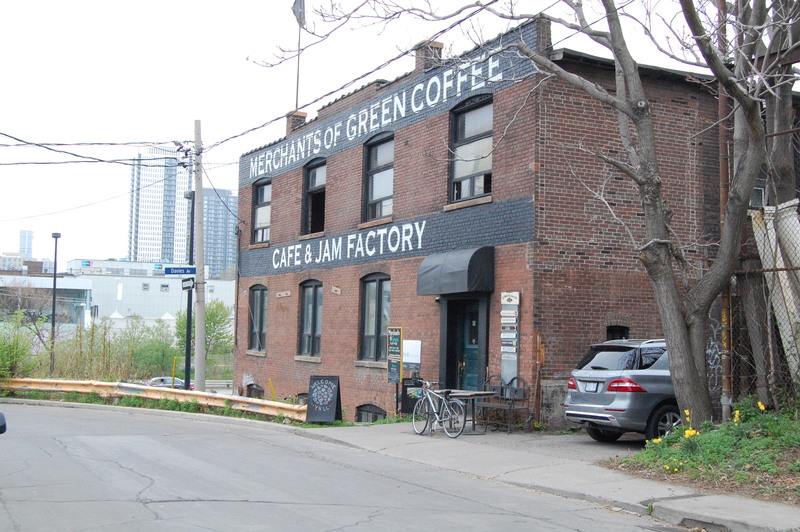 The plan (Fig 3) called for all the industrial land along the Don River to remain so designated. 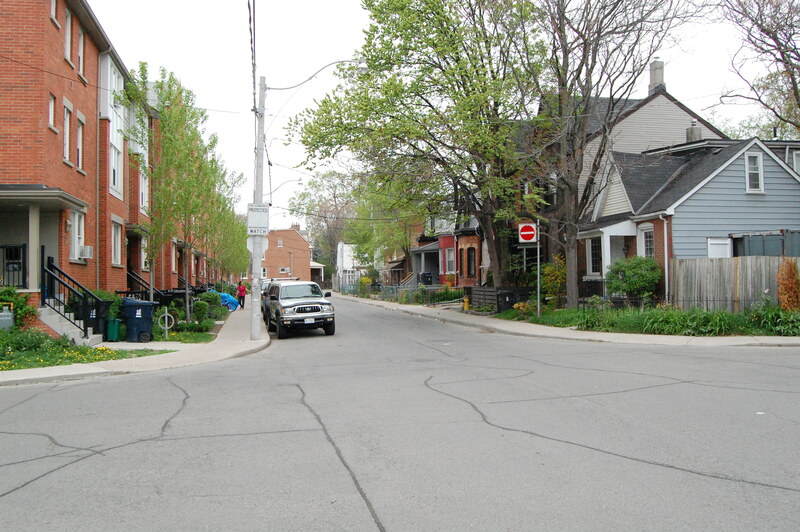 Industries provided jobs for local residents so keeping them made good sense; in fact industry was important enough that the planners proposed extending the industrial land designation slightly, to Carroll Street, to permit existing industries to expand, hoping that by doing so they might counter the attraction of large new suburban sites. In the end the industries did decamp, for various reasons, but the industrial buildings retained have provided ideal space for the new urban economy (Photos 3, 4). 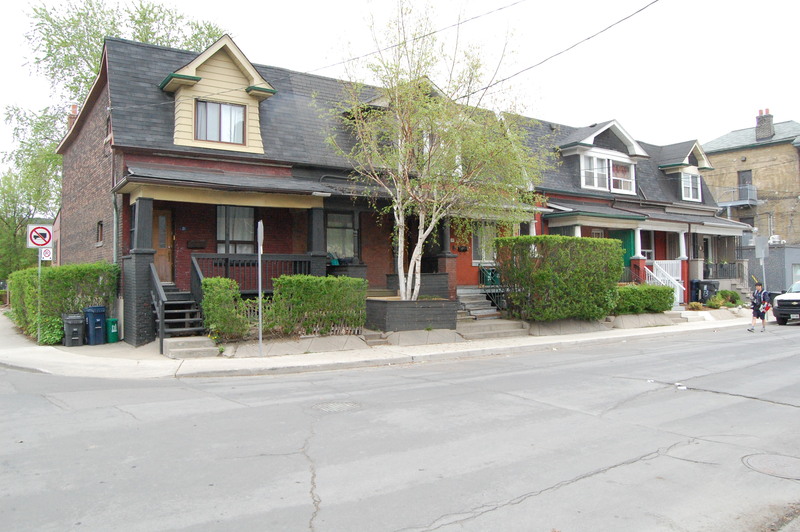 The other is the remarkable survival of a small run of semi-detached houses (Photo 5) on Carroll Street across from the Dark Horse. The planners classed them as worth rehabilitating (Fig 4) and they were right; fifty years later they still stand. Fig 4. Detail from Fig 3. 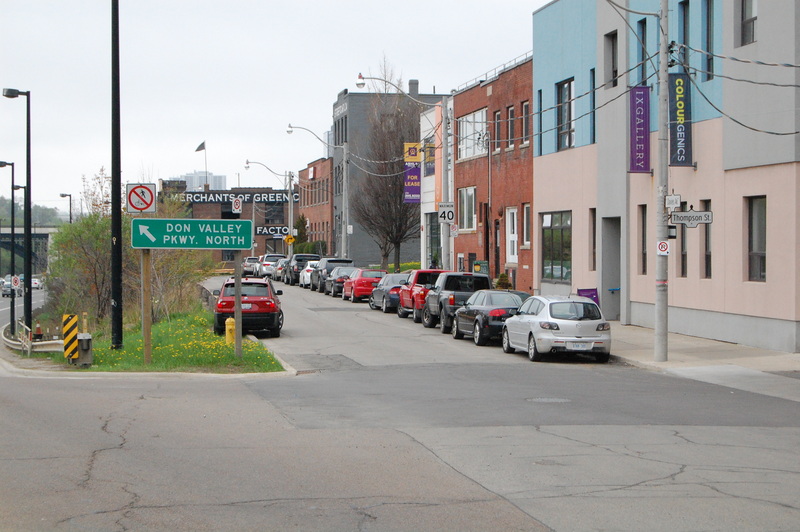 The area behind them became not parking as the plan proposed but the site a new walk-up residential building; yet parking has cropped up across the street (Photo 6) on the land designated for industrial expansion – which never was needed, and now also houses the Dark Horse. 1960s urban renewal and the planners who devised it were not as thoughtlessly destructive as they are often made out to be. 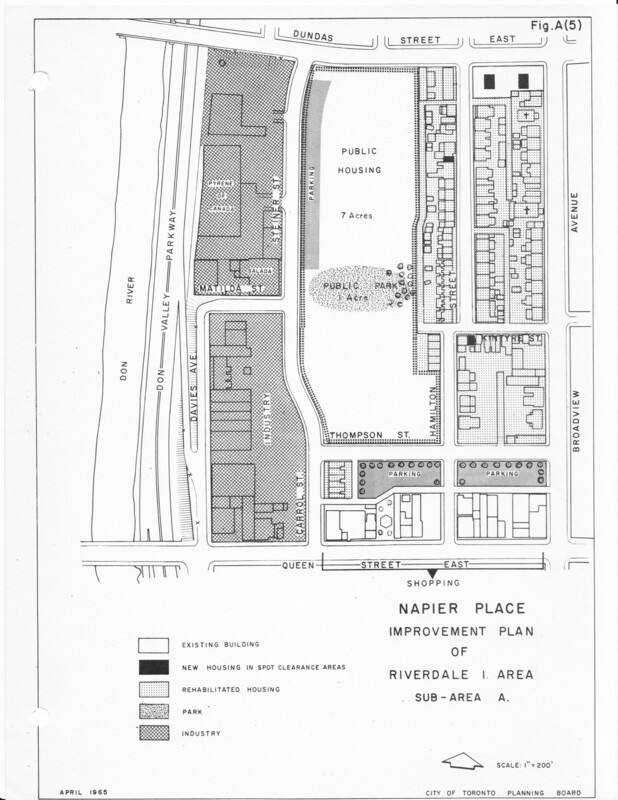 Note on Sources: The key source documents are City of Toronto Planning Board, “Improvement Programme for Residential Areas” for the pocket renewal concept generally, and “The Napier Place Urban Renewal Scheme: Data Abstract” and follow-up “Napier Place Redevelopment Plan”, all released in 1965. Image scans are from the “Redevelopment Plan”, but similar maps appear in all three. All are held in the Toronto Public Library. Photographs are by the author, May 2015.